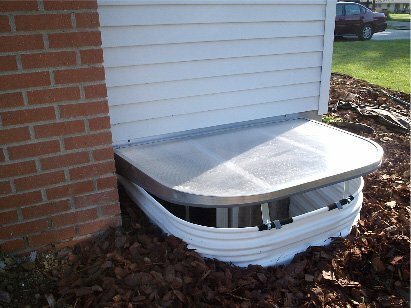 BILCO ScapeWEL® Clip-on Sloped Egress Well Covers are constructed of a polycarbonate plastic, allowing the maximum amount of light to enter your Egress Well. These structural ScapeWEL® Clip-on Well Covers can hold 400 pounds, allowing an child, adult or animal to accidently stand on the cover without falling in or to a handle a heavy snow load. 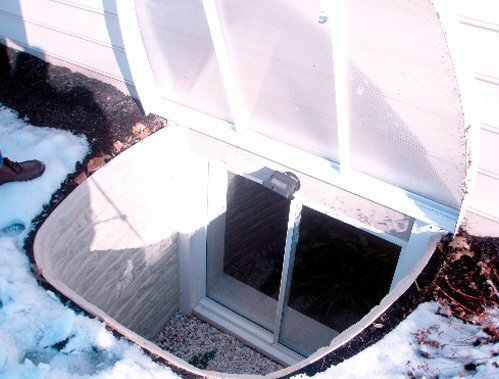 These beautiful Clip-on Egress Covers are a great way to cover your Egress Well when your Egress Window is installed either totally in the Egress Well or partially above the well. 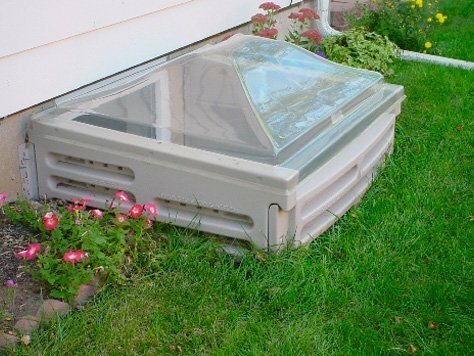 BILCO ScapeWEL® Egress Well Covers are designed to work with our BILCO ScapeWEL® Egress Wells. BILCO ScapeWEL® Clip-on, Sloped Egress Well Covers are available in three sizes to fit the 42″, 54″ and 66″ wide BILCO ScapeWEL® Egress Wells. BILCO ScapeWEL® Clip-on, Sloped Egress Well Covers are supplied with six metal retaining clips to attach the Clip-on Cover to the Egress Well. Just place both hands in the center of the Clip-on Egress Cover and push up and away from the house to remove. NOTE: Snow must be removed from the top of the cover after each snow storm to assure the cover doesn’t get too heavy to lift in an emergency. Call REDDCO Incorporated toll free at (866) 996-1989 for Price and Delivery.